Against which risks are you protecting your data ? Backups are absolutely essential. I wrote about that topic quite a few times already and I can’t stress that point enough. I live a solid backup strategy and it has saved my a$$ multiple times already. The core of my backup system is a 4-bay NAS system (Network Attached Storage) with a time machine backup (=the content of my computer’s harddrive) and my archive (=everything I do not want to keep on the computer’s harddrive, mostly images). In addition to that there are two identical copies of the archive, which I keep in different locations. Those are “naked” harddrives which I connect to my Mac using a USB 3.0 docking station. Major catastrophic events like fire and theft. User- or software-related events can be rescued by using the time machine backup I keep on the NAS. If I accidentally delete something, time machine (from here TM) is there to fix it. Same applies if some software runs amok. The little risk which remains is that something happens to TM itself. But for data really being lost two events have to occur at the same time: data loss AND the failure of TM. That is a small risk in my opinion. Hardware failure is a more extensive topic which requires some sub-points. There are several reasons for hardware to go faulty and each one of those risks can be countered by a different measure. “Natural” aging of components. Harddrives are pieces of technology, and using them causes wear, both mechanical (if you still have spinning HDDs and not SSD drives) and electrical, since also chips won’t last forever. This can be easily countered by replacing the your backup drives with newer ones after a certain timespan. I deliberately choose not to further specify that timeframe since I have no objective measure or guideline. To speak for myself – I replaced the drives when they became too small. Single components can be faulty. Although quality control is exceptionally good in the electronics industry, there will never be a 100% certainty that all defect parts have been sorted out in the factory. Keep in mind it does not have to be the actual medium carrying the information which can break. The discs inside your harddrive can be in perfect condition, but if the controller fails you still lose your data since it is no longer accessible. This risk is taken care of by using a RAID system where the data is redundantly stored on different drives. As mentioned above, I am using a 4-bay system from Synology. The configuration is RAID 6, meaning that two drives can fail at the same time without losing any data. It is safe, but also requires a lot of space. In my current configuration I have 4×2 TB drives installed which result in “only” 4 TB of usable storage space (upgrade to 4 TB drives imminent). 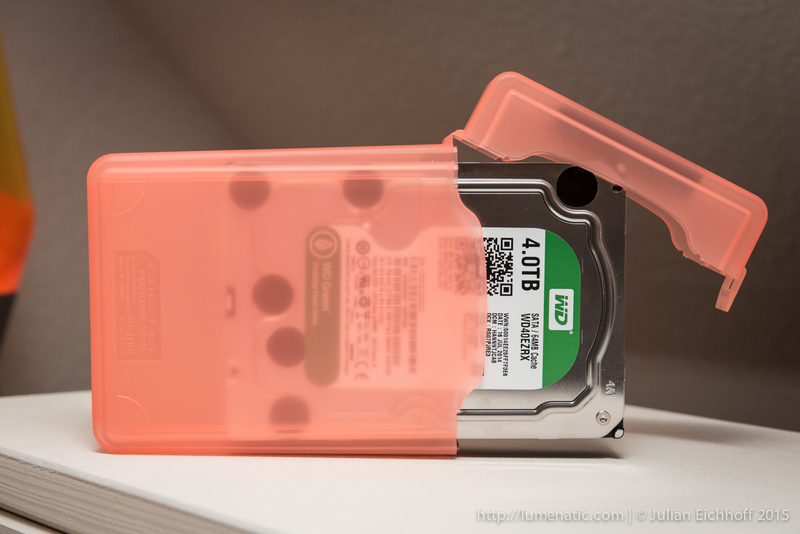 Design flaws in the harddrive series. Not very likely, but also not impossible. If all the harddrives in your RAID system are the same model and the series has a design flaw – there is a miniscule, yet not impossible chance, that all harddrives might fail at the same time. To counter that the harddrives in your RAID system should be at least different models (same size) and/or from another manufacturer. If the cat pees into your computer or RAID system (don’t laugh, happened to a friend of mine) or the drive drops from your desk, your drives are most likely be toast. Redundancy is the answer. That is why I have two copies of my archive. These drives are stored separately from the computer and are not plugged in permanently. In my case I have a naked internal 3,5” HDD, which I plug into a dock when updating my archive. The rest of the time the HDD is stored in a plastic container, which I keep in a drawer in the same room as my computer. This way my archive is safe. Power surges (e.g. when a lighting strikes the power grid) can damage electronic equipment. Here two countermeasures come into effect. The first one is a filter device, which is placed between the wall power socket and the electronic device. If lightning strikes, a fuse is blown inside the filter device which cuts power. That’s much better than roasted electronics. The second counter measure is described in the point above. 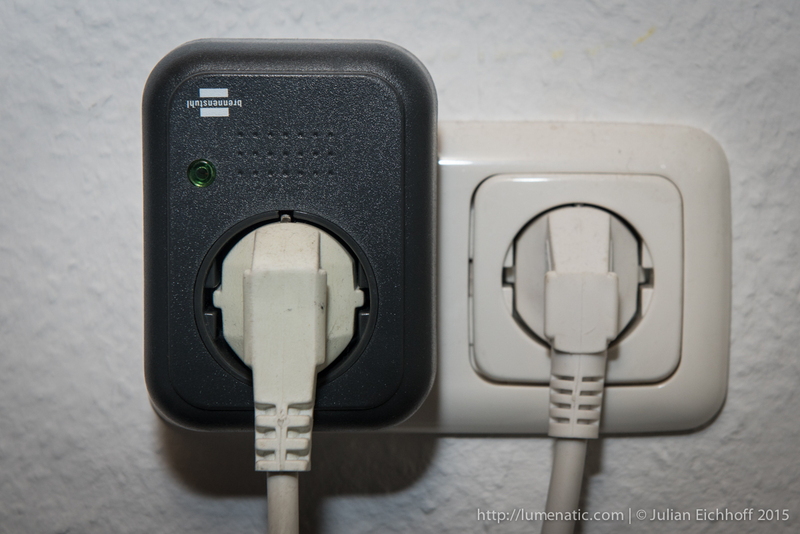 If one copy is not physically connected to the power grid (like the backup copies I keep in the drawer), it will not be affected by a power surge. So even if the filter fails and your computer is damaged, you still have the separate copy of your archive. The pinnacle of data protection is protection against major catastrophic events. I am talking about a fire, burglary or a flooded apartment due to a broken water pipe in the walls. In that case only an off-site copy of your data will save you. 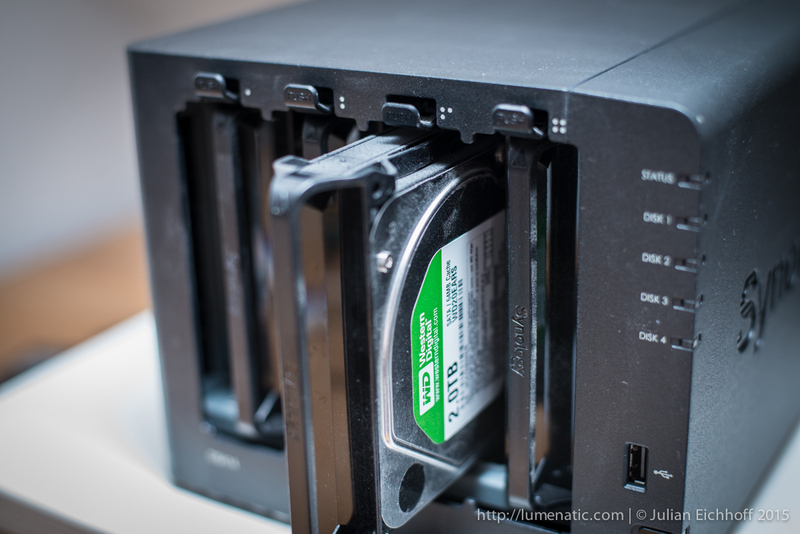 That is why I have two identical copies of my archive (the naked HDDs in a plastic storage container). The first one is stored in a drawer at home, see above. The second one is stored in another house. You might deposit the HDD at a friend’s house or at work, if that is an option. That brings some hassle as you have to collect and bring back the HDD for the next archiving session, but if you are willing to go the extra mile for extra security, that is what you have to do. – Backups are essential, protect your data ! – Choose for yourself which risks you want to protect against. Nachdem ich bereits hier meine eigene Geschichte zur Wichtigkeit von Datensicherungen erzählt habe, fasst dieser Artikel (auf englisch) alle möglichen Risiken zusammen, gegen die (im Idealfall) alle Daten abgesichert sind und alle Maßnahmen, die einen Datenverlust verhindern.